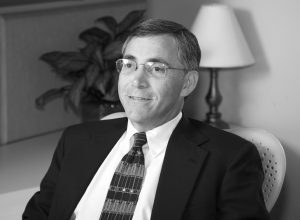 Bruce has been a member of the firm since its inception in 1986. His strong organizational and technical insight, commitment to quality and expertise extends through all phases of the design process, from concept to documentation and construction administration. Bruce has over 30 years’ experience as a project manager for numerous financial, healthcare, and educational projects, with a driven focus on thorough documentation and exceptional quality control.